Empathy can help you on your quest to understand life and destiny. Do you often feel as though you are being blindly pulled along―searching for answers, trying to make sense of why things happen the way they do? Is it possible the answer is right in front of you? 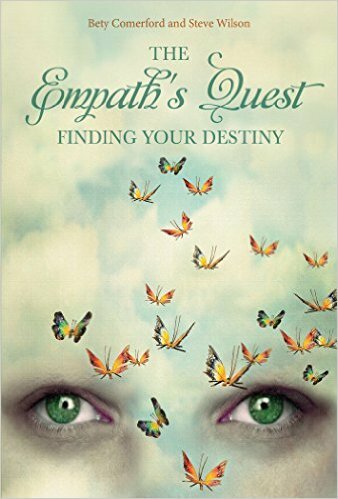 Discover via twelve lessons why you are here and why your gift of empathy is so valuable to your search for your destiny. Delve into your own timeline and learn the ways it can help you comprehend your life and determine why your existence is the way it is. Explore how your life is designed to teach you to make energetic choices and how to fight becoming the victim of energy you feel. 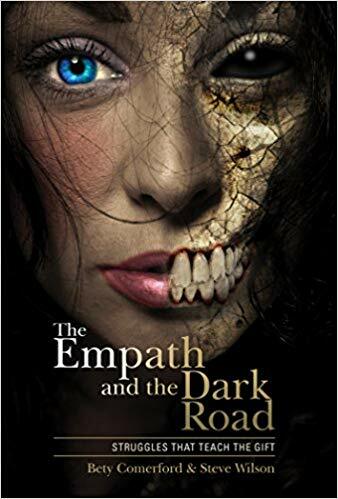 This follow-up book to The Reluctant Empath goes deeper into the gift of empathy and how to use it effectively. Understand why you have the power to navigate your own life―right now. Initially, the quietness is a way not to draw energetic attention. The lesson, however, is that the energetic attention you’re trying so hard not to draw to yourself is another truth of who you are. Everything that is said, or is thought, or is put into motion, has an energy to it. Even being quiet and withdrawn is creating an energy. The lesson to learn from this is that every human being has an energetic voice. Words don’t always reflect the energy of what you’re feeling or what you’ve experienced. As an empath, you can sense in the moment what another needs by how their energy is being presented to you – which goes beyond words. So, what do you do with that? Do you put forth your own energy in response in a manner that gives the person what they want, regardless of what you want? Is this the right way? Or is this another lesson? You take on so much energy whether you mean to or not. That’s what being an empath is all about. However, as an empath, you have the ability to use your energy to put out, without words, who you are. You don’t need to get reactions or push away reactions. Just being the energy speaks louder than words. It is the energy of truth. Of the person you are without hiding in the shadows. As you put out the energy of truth, others who come into your energy field can’t help but be affected by it. There’s a saying in the new age community: Just be. What that means is being who you are, without a façade, without a mask. Without the trappings of who you think people want you to be.It’s having the courage to energetically say, “I am an empath. I see things, I feel things. I am what I am.” It’s being comfortable in your own skin and accepting the gifts you have with humility. Like energy attracts like energy. So imagine for a moment what would happen if you began to radiate with the energy of truth.That energy will give someone else the courage to find and become who they are. You will attract like-minded people to you. It’s how energy works. I almost dropped my recorder as an unbearably sharp blow suddenly and unexpectedly hit me in my stomach. I instantly buckled against the counter. The cats, which had been following me, quickly scampered out of the room, abandoning me to whatever force had just assaulted me. I couldn’t catch my breath. My stomach felt as though it were being ripped to shreds. 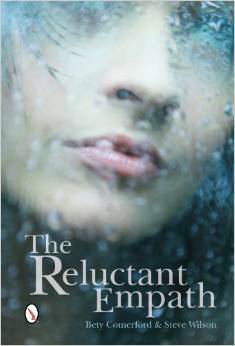 Startled by the sudden onslaught of indescribable pain, I looked down to my abdomen and gasped. A psychic impression of blood was slowly spreading out all over my mint green sweater. Except I wasn’t seeing my mint green sweater. I was seeing a white apron tied over an old-fashioned print dress. And I suddenly felt heavier, shorter as if I were morphing into someone else. 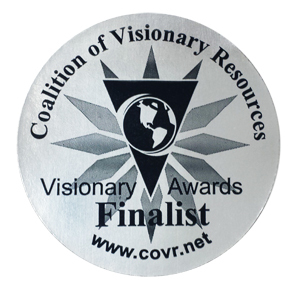 I quickly realized I was going through a phenomenon called overshadowing – literally stepping into the energy of a spirit at the moment they are experiencing a particularly traumatic event and actually becoming them, reliving the moment as they lived it. It isn’t a full possession. I’m still conscious and still aware of my surroundings. But for that moment, the lines blur and you are one with the spirit. I’d only gone through overshadowing once before. It’s both fascinating and unnerving. This, however, was powerful, stronger than anything I’d ever felt before. I sat in its energy, enthralled and appalled at what I was going through. I couldn’t regain my feet as I lay slumped against the counter, the psychic blood stain growing ever wider across my stomach. I was now feeling shock and nausea and I could literally feel my life slowly slipping away from me. My God, I thought to myself. I’m dying. 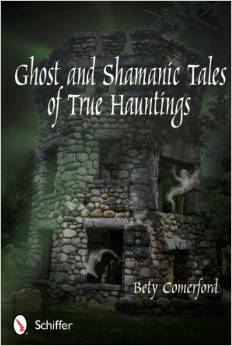 This book is different from your typical how-to guide for ghost hunting. It's designed to give the empath, and anyone sensitive to energy, tools for accepting things that go bump in the night. Empathic ghost hunters will learn to depend not only on the energy of the living, but that of the dead as they search out paranormal activity. 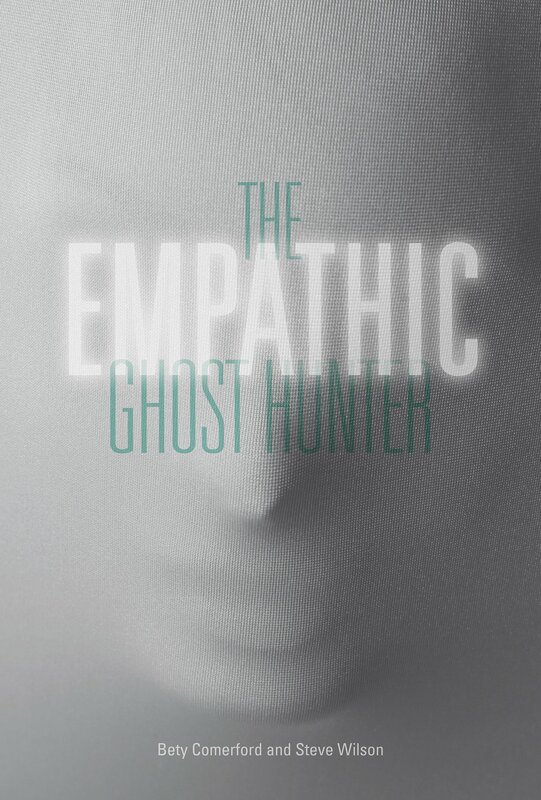 Each chapter includes a story, taken from the authors' experiences in their own ghost-hunting practice, as well as a lesson for empaths or those wishing to better their empathy skills. Find out how to "lighten" a space, a house, or a life, by changing the energy, thereby allowing ghosts to move on. Discover what an empath feels and what he/she can do to work with the gift of empathy. Now you can unravel and demystify the phenomena of the paranormal, and bring light to a subject fraught with fear and misunderstanding.